An indie used bookstore and artists' haven in Chicago's Logan Square needs your help! 271 backers pledged $12,572 to help bring this project to life. We met our $10,000 goal, which means no matter what happens, everyone who pledges gets their reward and we get that precious, precious funding. There's no cap to how much money we can raise. We hit the minimum, but there's no limit to this thing except the public's generosity. Improved construction -- higher quality, more attractive shelving, flooring, ceiling, etc. Actual payment for contractors and artists -- I can pay them in cash instead of in Papa John's and PBR! 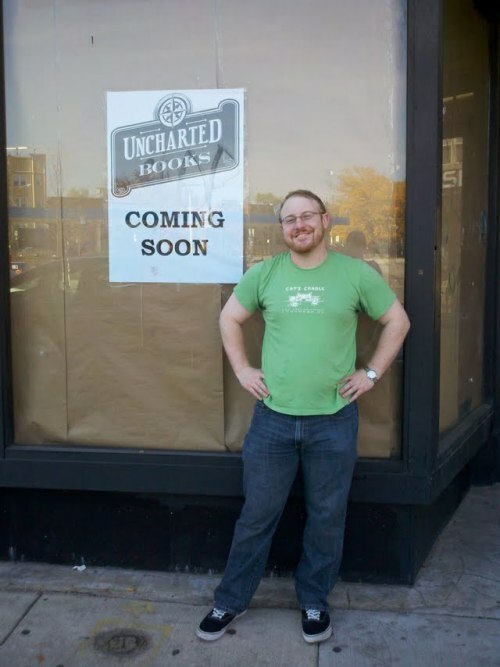 Uncharted Books is coming to Chicago's Logan Square! We're an independent used bookstore specializing in literature, vintage classics, queer and gender studies, and local interests. We host open salons for writers, storytellers, artists, and students. We encourage browsing, loitering, chit-chatting, socializing, drinking, eating, writing, working, hanging out, and staying in. 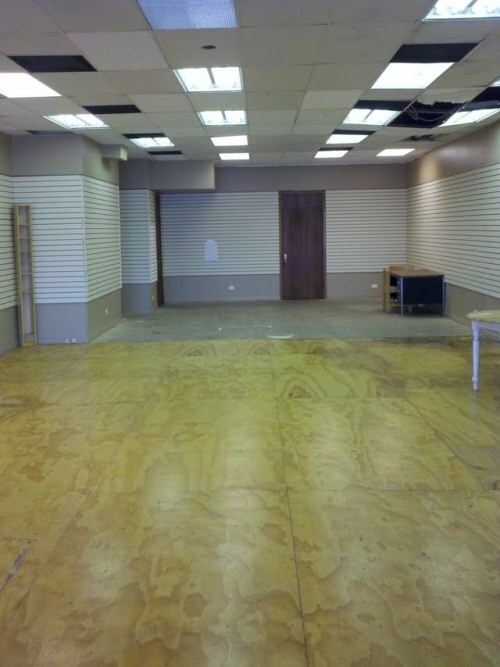 We want to be your bookstore – Logan Square’s, the north side’s, and Chicago’s. We're leasing a 1300 square foot space on Milwaukee Avenue near an independent movie theater, coffee shops, cafes, and vintage stores. 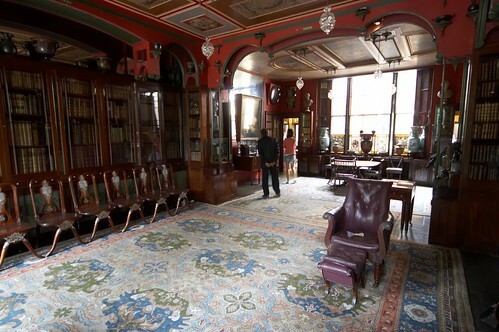 The space itself will be modeled after London's Sir John Soane's House – a cozy, Old World European-style salon that the Guardian calls "A crazy labyrinth of art, architecture and history." The storefront is intended not only to be a bookstore but a haven for writers and artists, providing a comfortable lounge (with Wi-Fi and plentiful outlets) and hosting regular community events to encourage reading, writing, and sharing. If you want to hone your skills, get back in the habit of writing, or simply enjoy stories that can be found nowhere else, Uncharted will be your new favorite getaway. We will also be working with local charities and literacy projects. We donate our overstock to Open Books, and we are working with the Logan Square's Alderman and Chamber of Commerce to participate in as many local events, organizations, and charities as we can get our grubby little hands on. We've signed a lease on the perfect storefront in the heart of Logan Square: north of the traffic circle on Milwaukee Avenue, right across from the Logan Blue Line stop. See that hole in the ceiling? The crappy walls and floors? The decided lack of bookshelves? We have contractors, woodworkers, and local artists raring to go, but we need some help from you to come up with the money for materials. We need to raise money for startup costs and starting our social programs. This will enable us to guarantee an opening date and a larger, more complete inventory. Both Kickstarter and Uncharted are all about local community. If you're a backer, we want to know you! If you live in Chicago, we'd love to meet you in real life. You should send us an email, talk to us on Twitter or Facebook, and tell your friends about this project. Thanks for getting involved! We can't wait to meet you! You get a sneak peek at our inventory and access to behind-the-scenes videos, photos, and blogs. We'll also add your name to the Thank You section of our website. You get some stickers, a sweet button, and a bookmark. And behind-the-scenes access, of course. We'll mail you one of our favorite books, or you can stop by the store and pick out any paperback to take home. Comes with a stickers, bookmark, and buttons. You get a 5% lifetime discount card! We'll also mail you a book, or you can pick one out at the store once we open. You also get an invitation to our backer-only preview day. You'll get a chance to see the store before we officially open, shop for books, hear some live music from local artists, and eat some free food! Uncharted Books tote bag! It's totes rad! It also contains an assortment of random (but awesome books), a handful of buttons and bookmarks, a preview day invitation, and that 5% lifetime discount. You get a lifelong 10% discount (including online orders), free admission to any of our events, the Big Fish swag bag, and a big hug when you come by the store. We'll name a shelf in your honor! You also get the High Fidelity rewards, but the discount increases to 20%. The first pledger to donate on this level or higher gets our most valuable book, a first edition Animal Farm, as well as everything from the previous level. Holy buckets! Tell us your favorite book, which we will permanently keep in stock and on prominent display. You also get Name of the Rose stuff, natch. You get a lifelong 30% discount, as well as two massive shopping sprees that you can give as gifts, plus Animal Farm stuff, PLUS you can cut to the front of the line any time you visit our store. Let's be honest: if you're dropping 10 grand on a start-up bookstore, you can afford more books than I can offer you. So in addition to the other rewards, we will do everything in our power to partner with and promote you or your business with ad space in-store and on our website. Our backer-only preview party is in your honor. If you're a writer, you're welcome to write book reviews for our site. Also, I will personally help you move once (if you live in Chicago).